Sapa is a famous tourist destination in the northern Vietnam. This is a highland town in Lao Cai province, more than 300km from Hanoi. 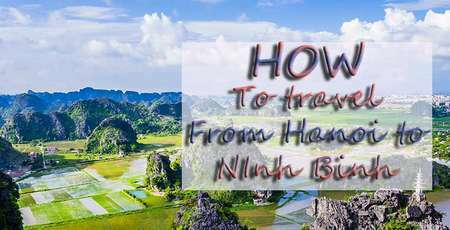 So how to go from Hanoi to Sapa? 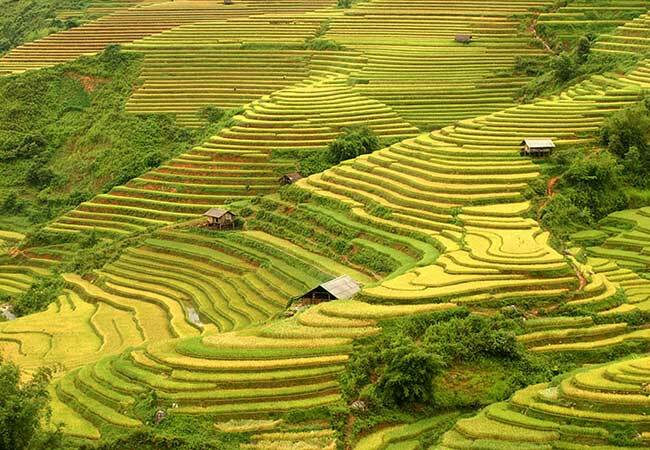 Here are some of the most convenient ways for tourists to travel from Hanoi to to Sapa explore this wonderful area as well as a great place for relaxing. From Hanoi to Sapa by train chosen by many tourists because of safety and economy. There are 2 trains running to Sapa with the code LC ( Lao Cai) and SP (Sapa). LC is the slow train which is operated in day time for local passengers with their goods. And SP is fast train in the night time for tourists. It runs from 21.40 (SP1 train) and 22.00 (SP3 train) , arrives in Lao Cai station at 4.15 and 6.30am. And vice versa, there are SP2 and SP4 trains from Lao Cai to Hanoi. SP1 train will carry with some carriages name: Oriental Express, Pumpkin Express, TSC Express, Fansipan Express, Livitrans Express, Ratraco Express. SP2 train will carry with some carriages name: Sapaly Express, Chapa Express, Violet Express, Tulico Express, King Express, Victoria Express. These are all private companies which serve tourists for the transfer from Hanoi to Lao Cai by train. These carriages are with wooden cabin compartments with VIP 2 bed cabins or 4 bed cabins. Ticket price from 550 000 VND (25$) per person for sharing 4 bed cabin and the most expensive one is Victoria carriages at the price of 2 500 000 VND (110 USD) per person for 1 way transfer. The train will arrive in Lao Cai station and you will travel to Sapa by bus at 50 000 VND (2.5$). 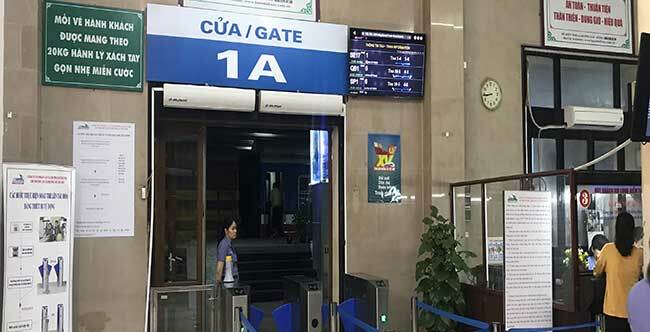 It is easy to book a bus to Sapa as you will see the booking ticket counters as soon as you get off the train to the exit gate. 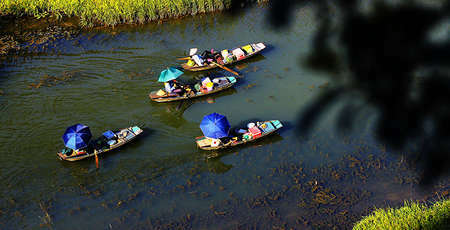 In the past, to travel to Sapa by Road, it will take so long time and make tourist tired as the road is normal road. After 2014, a Highway was completed and therefore, travel by bus from Hanoi to Sapa is very convenient. Travel time is about 6 hours. 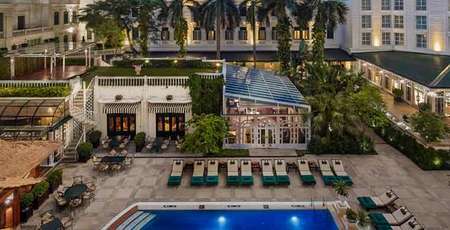 Pick up address: in the Hanoi Old Quarter. 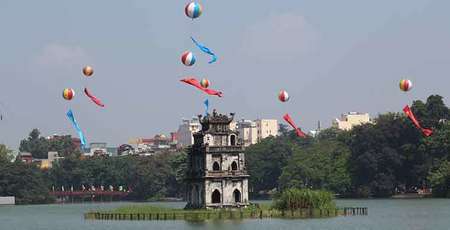 Pick up address: any places in the Hanoi Old Quarter. Pick up address: 789 Giai Phong Street. 7 Pham Van Dong str. Ticket fare: 240 000 VND. By tourist bus will be dropped off at Sapa town instead of Lao Cai as by train. This is the most convenient way however, it is the more expensive. For the comfort, it may be less than a big bus a mentioned above. 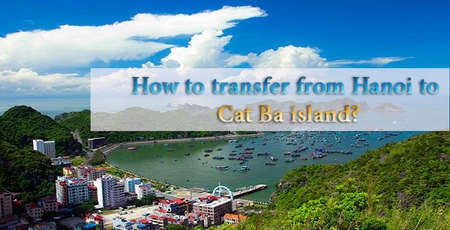 You still transfer on the same way on the highway from Hanoi to Lao Cai and then to Sapa. Travel time is about 5 hours. You can ask hotels or travel agent to arrange private car or taxi for you. It costs about 150 USD. This is an adventure transfer to enjoy experience on the journey from Hanoi to Sapa. You need to be a good motorbike driver. The New highway is not allowed motorbike so you will travel by the old road. Start at 6.00 and arrive in Sapa at 15.00. Check in Hotel, shower and take a rest after a long driving. Address: 66 Dao Duy Tu Str and 162 Tran Quang Khai str. It is in the old quarter so really convenient for you. So, you simply need to travel by train to Lao Cai and take a shuttle bus to Sapa or travel straight from Hanoi to Sapa by tourist bus. More experience with motorbike, however, we do not really recommend you this kind of transfer as it is really adventurous and dangerous if you do not understand the traffic in Vietnam. 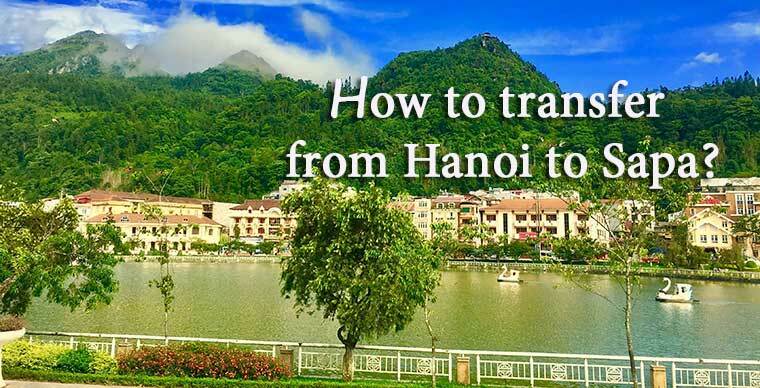 Each kind of transfer has its own advantages and you have to find out what is the most appropriate way for you to travel from Hanoi to Sapa. Note: The ticket fares in this article is for reference. it may change without priority notice.